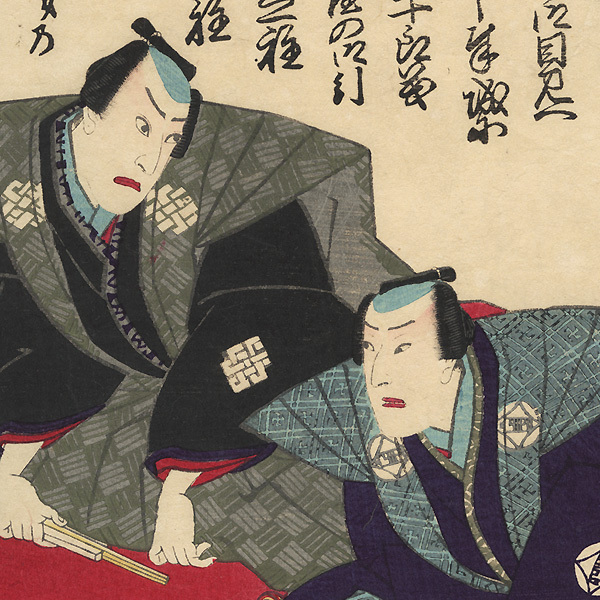 Comments - Handsome kabuki portrait of two actors greeting the audience in a kojo or formal stage announcement. 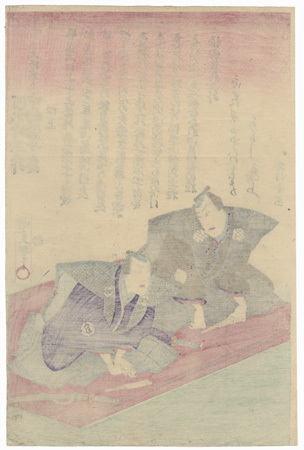 The men bow respectfully, their hands on the floor before them, The fellow at right looks up with a strange grimace, while his companion watches him with a frown. 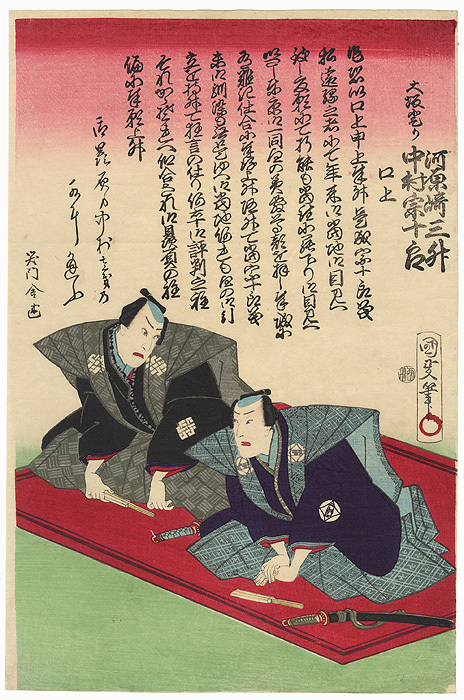 The actor at left is Nakamura Sojuro. Text fills the space above against a background softly shaded from red to pink to green. Condition - This print with excellent color and detail as shown. Horizontal fold. Slight toning, a few creases. Please see photos for details. Good overall.